In the book, Mitch Albom is a successful sports writer and college graduate. One day Albom sees his college professor Morrie Schwartz on “Nightline” in a television interview with Ted Koppel, and learns of his terminal illness. In his student days at university, Albom had regarded Morrie as a friend and mentor, but had lost touch with him since his graduation. 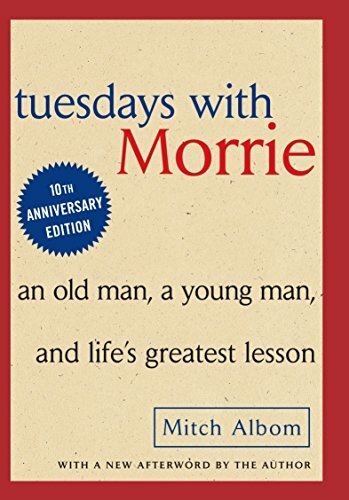 Realising that he has not long to live, Albom decides to fulfill his unkept promises to keep in touch with Morrie and travels from Detroit to Morrie’s town in West Newton, MA, every Tuesday till the day Morrie dies. In each of his meetings, Albom summed up his inspiring conversations with Morrie as simple lessons in life. No preaching, but it’s not a great book. I’d give it 6/10.